As your local Milgard certified dealer, we are proud to help you create the home you and your family deserve. 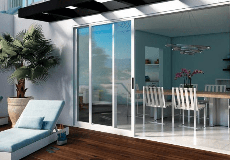 We're a local business who specialize exclusively in windows and doors. Whether you're looking for options on new construction, commercial, or changing out your existing windows we're committed to helping you with every decision along the way. Our proffessional window experts are available to consult over the phone, email, or in person at your home. Hillsview Building Inc. is rated 4.9 out of 5 by 14. Rated 5 out of 5 by ST PDX from Great Service and Install Nathan helped me figure out an approach to work within my budget while still enhancing the curb appeal of my home and respecting its historic character. He was patient as I made decisions, timely and his install crew did solid work, paying attention to the details as they went. Rated 5 out of 5 by DjSandyOr from Great work on Duplex We used Hillsview to do all new windows and doors on our Duplex and were very happy with the completed work. On Time and On Quoted Price. Rated 5 out of 5 by Mrshollyd from Ease of mind Working with a knowledgeable dealer is key. Every step through the process was professional and straightforward. Highly recommended! Rated 5 out of 5 by caveate emptor from Exceeding expectations Installation extremely quick, very professional and possess expert knowledge level about the process. Rated 5 out of 5 by Jamie4804 from Excellent business They installed a exterior french door yesterday, Outstanding service and installation beautiful. Thank you!! Rated 5 out of 5 by RichJ from Very professional and easy to work with! This company is a breath of fresh air. Straight forward and easy to work with, what you see is what you get. They do what they say. They are great at communicating and are very reasonably priced. Do I recommend them? I already have; sent them a referral to a good friend who asked if I knew anyone trustworthy to replace windows.